Tell me, are you familiar with the concept of wage repression. Even if you’re not that doesn’t mean that it isn’t happening to you. In fact, if you’re employed by a large multinational corporation it’s virtually guaranteed. Wage repression is what occurs when corporations deliberately undermine employee wages in order to bolster their profit margins. It’s nothing new. It’s been around since the mid 1980s and some attribute it to the stagnation of the economy since the dawn of the neoliberal era in the late ‘70s and early ‘80s. As the cost of living rises with inflation, wages never quite get high enough to meet it. For years ordinary working people had no way to empower themselves. But the digital revolution changed everything. Access to digital technology has democratised the workplace and empowered many to pursue side hustles in their own time by monetising their skills and making money doing the things they love most. Combined with keeping an eagle eye on household costs and cutting where necessary, it can tip the financial balance back in the favour of working families. With so many side hustlers out there competing for business, competition is fierce and proliferate. In order to make a sustainable living, you need to stay one step ahead of your competitors in every way, and you simply can’t do that on a poor reputation. 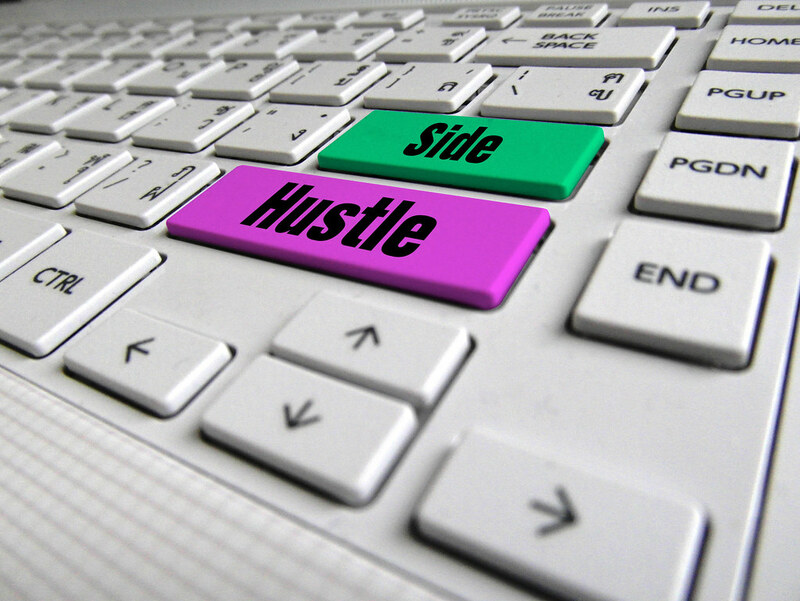 Even if you make a living through a means that doesn’t use a ratings system, your quality of work, efficiency, personality and customer service ethic will make all the difference in making your side hustle lucrative. If you sell your wares on an auction site like eBay or sell your artistic creations online, it’s important to choose the right platform. Budding artists may think that Etsy is the best place to set up shop. But what few know is that Etsy’s search algorithms make it very hard for new artists to get found on search queries. Unless you have an inventory of over 100 products, Etsy may not be the best platform for you. Many artists who have experienced frustration with Etsy have found better luck with Shopify. You can see a side by side comparison between the two here. There are many side hustles that involve taking to the road to transport products and people. Whether you hustle with Deliveroo, Amazon logistics or Uber, it’s important to stay safe. An accident on the road could besmirch your reputation and leave you unable to work and earn for weeks or even months. If you’re injured by a negligent driver you must call a lawyer immediately. Installing a dash cam or helmet cam will help you to seek justice in this instance. If you’re a side hustler, you likely use social media to grow awareness of your brand and services and to network with the kind of people who may benefit from your side business. Just remember that it’s a tool for networking, not hard selling. If your Twitter history is a laundry list of hard sells you will simply scare off and alienate potential leads.